The City's team of Neighbourhood Resource Coordinators supports a community's efforts to contribute to its own development. A helpful website created by the City of Edmonton to answer your questions for planning an event. For events on any public park, a permit is required if the activities include anything beyond passive use. 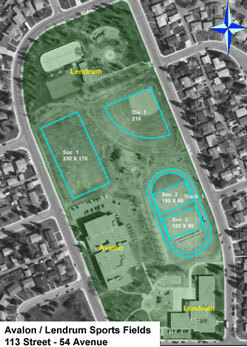 Wendy Keiller, the Neighbourhood Resource Coordinator (NRC) for Lendrum, is able to issue any resident or community group a permit for no charge, for use of public parkland. Not sure if you need a Parkland Event License? Visit Neighbourhood Event Planning :: City of Edmonton. Permit applications are due a minimum of 4 weeks prior to the event. Submitting your application does not imply that you event is approved or that your proposed location of date is confirmed. The Neighbourhood Resource Coordinator will connect back with you once the application is received. Various types of grant opportunties exist. These allow groups and communities to acquire funding for enhancement projects. Not all projects qualify. There are strict rules that govern these opportunties. The City of Edmonton Neighbourhood Resource Coordinators have prepared this listing, 2019 Grant Opportunities.pdf 180KB, in hopes that we might be able to put our collective heads together and find out which ones we might be able to use. A neighbourhood block party is an opportunity for people to meet and get to know each other. Edmonton City Council has waived the $100 fee for Block Parties. A permit (free) is still required from the City when a block party is held on a location where there is traffic (streets, back alleys, or cul-de-sacs). The permit is required to block off the street. Signatures from all your neighbours in the block party zone are required on the permit to show support for the event, whether or not they plan to attend. The permit must be submitted at least 2 weeks before the event. The permit includes pick up and delivery of road barriers. Alcohol consumption is not permitted on city roads or public property. 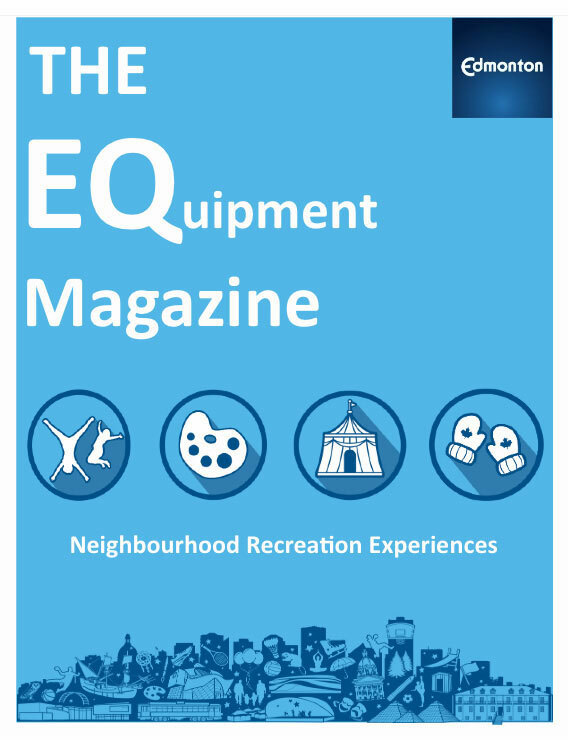 The City of Edmonton - Neighbourhood Recreation Experiences loans recreation program equipment to non-profit organizations for use at free programs or events that are open to the public. Equipment is picked up at our office at Circle Square Professional Building located at 11808 St.Albert Trail . There is a $10 fee for borrowing a maximum of 5 kits. Additional kits will be $5 each. Visit Services for Recreation Providers and Event Organizers - Equipment for details. Two of the many provisions: Access to school facilities for community groups after school hours and shared use of sports fields by community sport groups. Included on the Program Guide webpage are: Accessible and Low Cost or Free Recreation Guides - that are prepared seasonally. Subscribe to stay looped in on news you need for your neighbourhood. Each month you will find information that celebrates and highlights City activities, events, programs and services for neighbourhoods in Edmonton. The River Valley Map, reveals the snowy side of Edmonton's river valley. Find out where to skate, toboggan, access a washroom and which paths are cleared of snow.